Perfect for any active family, the Jeep Cherokee is a classic SUV that has undergone cutting edge remodels over the years to give our Athens, TX customers capability and style. See the Jeep Cherokee in person at Palestine Chrysler Dodge Jeep Ram Fiat today.Here at Palestine Chrysler Dodge Jeep Ram Fiat, we know that our customers want an SUV that packs all the towing capability they need alongside with unbeatable style and luxury driving experience. Active families in the Athens, TX community love the Jeep Cherokee because it’s a capable SUV packed with advanced features that make it stylish and comfortable. Come see us at the dealership today to take a test drive of the Jeep Cherokee. Sure, every driver wants a car that appeals to their style aesthetics, but we know that you’re also looking for a tough car that you can take on gravel or mud roads and get a little dirty from time to time. The Jeep Cherokee offers the perfect combination of performance handling with a sleek stylish exterior and interior design. Whether you need to drive your kids to the Prom, or you’re ready to head to the hills for a weekend of off-roading, the Jeep Cherokee offers the best of both worlds. With a best-in-class towing capability of 4,500 pounds, you’re equipped to haul out the trailer full of Quads, or tow along a tent trailer with ease. The Cherokee offers 4×4 capabilities like the Jeep Active Drive I, Jeep Active Drive II, and Jeep Active Drive Lock so you get the best off-road experience available. For more information on how capable the Jeep Cherokee is, visit us at Palestine Chrysler Dodge Jeep Ram Fiat to see it in person. We know that you’re interested in the Jeep Cherokee because you’re looking for a capable and rugged vehicle, but that doesn’t mean you have to give up your comfort or luxury. With award-winning interior design and advanced features, the Cherokee is designed to offer the best driving experience possible, and keep all your passengers cozy too. For the driver, an 8-way power seat with 4-way power lumbar support, upholstered in supple leather, keeps you driving in the customized position that is most comfortable for you personally. Not only that, but the heated and ventilated seats let you pick your perfect temperature no matter what the weather is outside. For the passengers, a variety of interior styling options allow you to choose seating for up to 5, opt for extra cargo room, or find the perfect balance between the two. A power Liftgate gives you hands-free access to the rear of the vehicle. Come on down to Palestine Chrysler Dodge Jeep Ram Fiat to see these interior comfort features and much more. Any parent knows that while style and performance are nice, the real measure of a vehicle is its ability to keep your family safe. The Jeep Cherokee comes packed with advanced safety features and automated safety technology to give you peace of mind and keep your whole crew comfortable. Features like LaneSense Lane Departure Warning with Lane Keep Assist warn you with an audible sound if you happen to drift out of your lane and will even steer you gently back into your lane if you don’t react in time. Other safety features like Forward Collision Warning with Active Braking can help you from following the vehicle in front of you too closely and will apply the brakes if you don’t respond to the warning sound. Finally, Blind Spot Monitoring has an eye on your blind spot and will warn you to the presence of a vehicle to help avoid collisions when changing lanes. See these features at Palestine Chrysler Dodge Jeep Ram Fiat today. 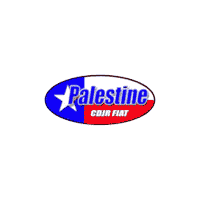 Palestine Chrysler Dodge Jeep Ram Fiat is your destination for the Jeep Cherokee. Our compassionate knowledgeable staff is available to answer any questions you may have. Give us a call or come on down today to find your next perfect Jeep. We aim to become your automotive home, and our goal is to put you in the driver’s seat of your car buying experience. Our staff is professionally trained in customer service and vehicle features to offer you the best experience we can. We are available by phone, email, and in person too. We look forward to meeting you and can’t wait to show you why Palestine Chrysler Dodge Jeep Ram Fiat has earned a reputation as Athens, TX best Jeep dealership.